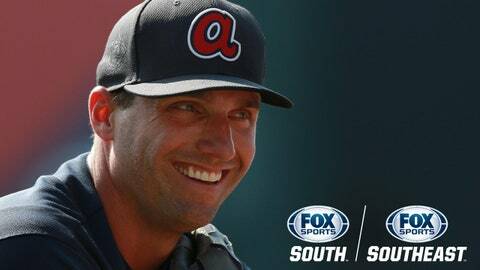 ATLANTA – Former Atlanta Braves outfielder Jeff Francoeur will join the FOX Sports South and FOX Sports Southeast broadcast team for select games during the 2017 MLB regular season. Francoeur will make his debut as an analyst on Braves LIVE! on Monday, June 5, at 7:00 p.m. ET, prior to the Braves’ home game against the Philadelphia Phillies at 7:30 p.m. ET. Braves LIVE! will originate from the FOX Sports set located on the plaza in the heart of The Battery Atlanta. A 12-year MLB veteran, Francoeur was selected by Atlanta in the first round (23rd overall) of the 2002 MLB Draft and spent six seasons (2005-09, 2016) with the Braves, winning a Gold Glove in 2007. Francoeur retired following the 2016 season with 160 career home runs. Braves fans can find exclusive game-day photos, videos and features on FOX Sports South’s new team-specific Twitter account: @FOXSportsBraves. Additional Braves content can be found on FOXSportsSouth.com, Instagram and Facebook.